Yash Foundation offering Auxiliary Nursing and Midwifery (ANM) course with best guidance and job opportunity. 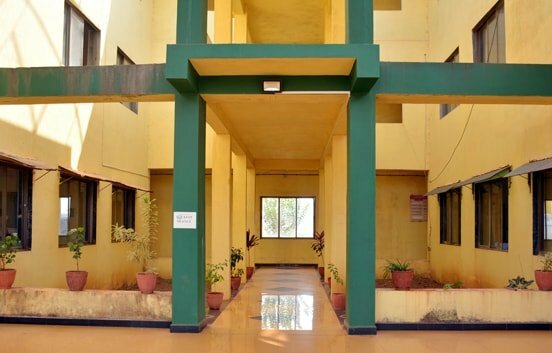 Yash Foundation is a top Nursing School in Maharashtra in the category of Nursing Institutes, also known for good teaching staff and student facilities. Nursing Course admission and application form are available. The Yash Foundation was established, around 23 years ago, by Shri. Surendranath Yashwant allies Bal Mane in the memory of his beloved father Late Shri. Yashwantrao Mane, who was a dedicated social worker and an educationist. He was connected with many social activities in the Konkan region of Maharashtra, India.This foundation conducts health awareness programs and rural development programs in the Konkan region. It also conducts some educational activities and plans to start a good number of educational institutions catering to Medical education. रत्नागिरीतील दी यश फाउंडेशनच्या ‘कॉलेज ऑफ नर्सिंग अँड मेडिकल रिसर्च इन्स्टिट्यूट’च्या विद्यार्थ्यांचा लँप लायटिंग कार्यक्रम नुकताच झाला. रत्नागिरीतील दी यश फाउंडेशनच्या ‘कॉलेज ऑफ नर्सिंग अँड मेडिकल रिसर्च इन्स्टिट्यूट’च्या बेसिक बीएसस्सी, जीएनएम व एएनएम या तीन वर्षांतील ९० विद्यार्थ्यांचा लँप लायटिंग कार्यक्रम नुकताच झाला. P-79, Near Airport, MIDC, Mirjole, Ratnagiri- 415639 Maharashtra- India.